I only have three weeks left working at Seedspace, a scary thought considering at the beginning of these six weeks I thought I had plenty of time. I’m a 20 year-old marketing intern from England, living and working in Medellin. I stumbled upon this opportunity on a rainy day full of revision in my university city of Durham. At university, I was beginning to feel claustrophobic. I knew if I didn’t pursue this experience I’d go stir crazy in the grey monotony of lectures and baked beans on toast. I applied and lo and behold, four weeks later I was sat opposite my boss in Medellin. The first thing I noticed about Seedspace was the colour. 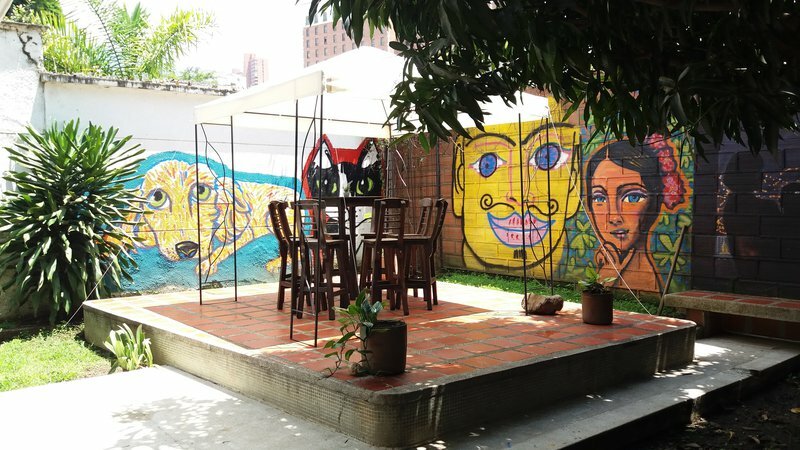 This place is so vibrant, with a graffiti covered courtyard and a patio filled with exotic plants (there is literally a mango tree growing in the backyard!). The vibrancy is heightened by the people. I have been lucky enough to travel around the world a lot, and I can say with hand on heart that the paisa are the kindest, most welcoming people I have ever met. When they say that the co-working community is a family, they are not exaggerating. Everyone is looking out for each other and wants to help you out. Events to improve the community happen every other day, from workshops, to community lunches with fajitas and empanadas. This isn’t your average office space for your mundane 9-5 job. Seedspace is always buzzing, filled with motivated individuals and young entrepreneurs. I need to make the most of my last three weeks working at Seedspace. I will be throwing myself into all the events and trying to improve my Spanish as much as possible (it is currently very very rusty to say the least). 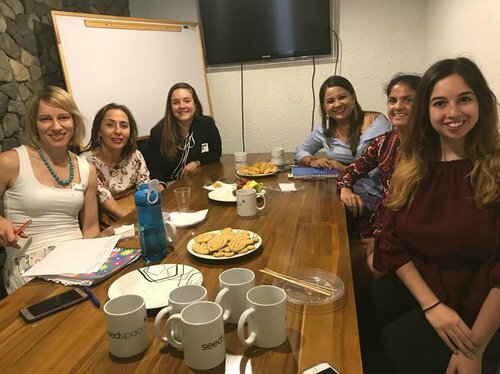 For Seedspace Medellin, a lot of exciting things are happening. We’re launching our first Women Makers event, a monthly roundtable discussion for women in business. And perhaps the most exciting development for us is the opening of the co-living unit! After a lot of planning, dreaming and craftsmanship, our co-living space is ready! It will be launching in two weeks time and it is the perfect addition to our continuously growing community at Seedspace Medellin. 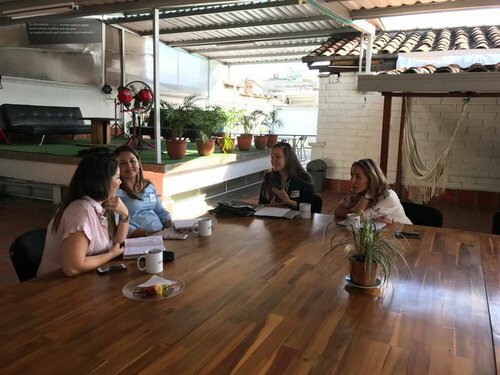 If you're interested by getting more information about Seedspace Medellin and visiting this exciting place, you can book a tour here!